The theory was presented for the first time in February 1979 in a local Finnish newspaper Uusi Suomi's Sunday appendix by me. 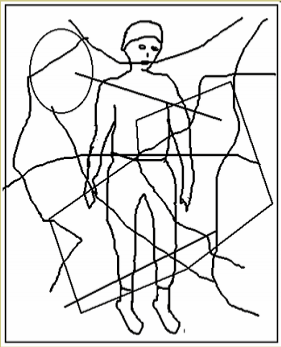 The theory that the Nazca lines and figures are a sea chart based on Maria Reiches map fits with reality. 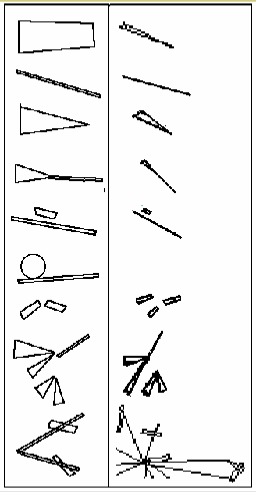 The theory that the Nazca lines are a sea chart gives good answers to many questions. Lines are routes and rectangles are islands. And every marking on this map can be found on modern maps. The lines have had another use later. It does not interfere with other theories as those tell about other properties of the area. 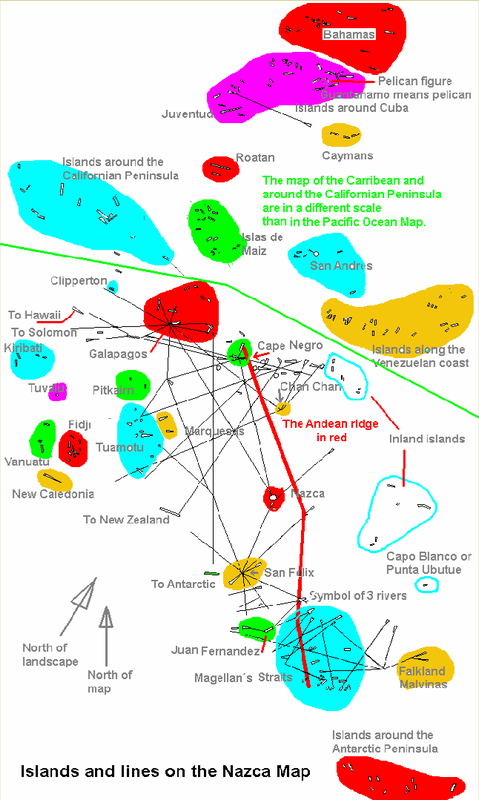 As the sea chart shows about all islands occupied by Maoris their history must be studied. How could the lines show their inhabited areas. That so many islands inhabited by Maori are shown proves without doubt that they are somehow involved. elements prove that Maori have visited South America or even lived there for hundreds of years. The peoples of the area were very advanced. The figures also prove that the people of South America were very advanced in science. The width of knowledge was immense covering geography, architecture, economics, development of agriculture, medicines, astronomy, mathematics, mass production, transport and much more. All that collapsed with the arrival of the Europeans. Chan Chan made excellent art. Chan Chan was technically a very advanced city. New Zealand, USA, Cuba, Guatemala, Venezuela, Peru, Chile, Argentina, Colombia, Panama, Nicaragua, Honduras, Ecuador, Colombia, (independent islands in the Caribbean Sea), Jamaica, (many independent islands in the Pacific Ocean), perhaps Brasilia, Paraguay . a. Its relative situation to other islands agrees with the modern map. b. Alternative explanations are missing. 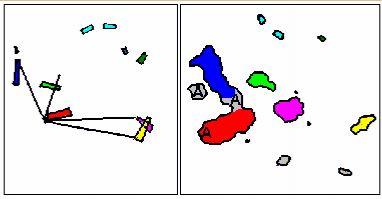 c. The islands within the group resemble the islands on the modern map as on position, size, and form. Aren´t they showing the same islands! The colors only mark same groups. New Caledonia is New Caledonia. The Falklands are the Falklands. The Nazca map is only more simpel. But shows the prominent features. In Nazca the continent is never shown. And not Cuba. In spite of all magical use, the lines which Maria Reiche selected are 100% sure a sea chart. Some pictures on the map on the plain. Maoris gave names to places according to what they saw when coming to a place. The Pelican indicates that there were pelicans in the bay. The Colibri can show that when the sailors arrived they saw some colibri. The Spider is like the the spider in the middle of the net, as can be seen here, but it is also the mascot of a tribe in the area. 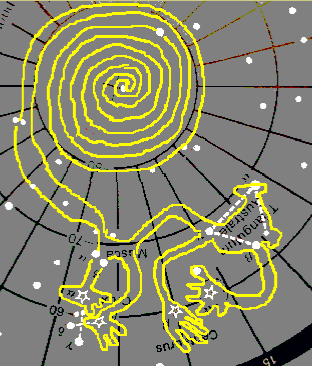 The ape represents the stars at the south pole. Its tail rotating around the pole. The killer whale (orca) is the totem animal of Maori and the site of the Maori citadel in Chan Chan. The chicken indicates another citadel as smaller and dependant. 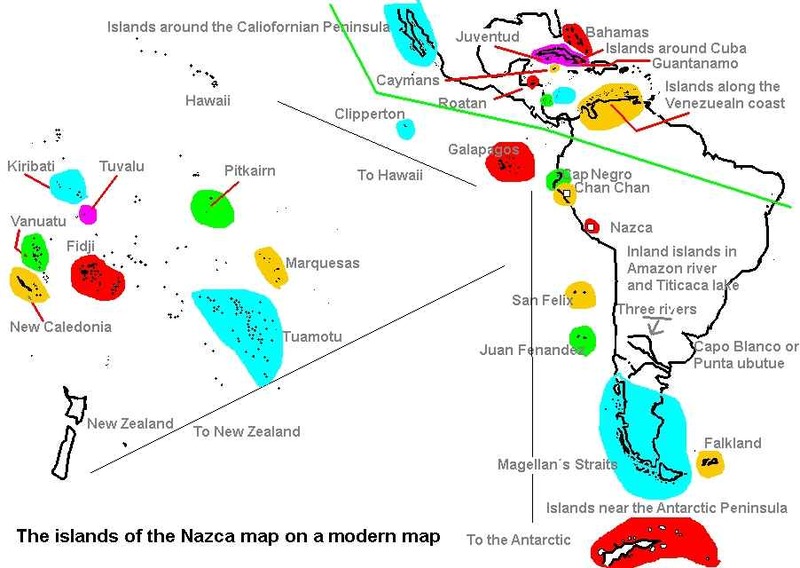 The figure of Tiki, the Maori sea farers´ god is above the plain looking at the map and situated where Nazca is on the map. It is at the same time a local god. Maria Reiche studied the lines for many years and made an exact map of those lines she considered important. The Peruvian air force also helped her with air photos of them. Some professors and other people have totally proved that the "Maria Reiche map" is a sea chart showing sailing routes and islands. 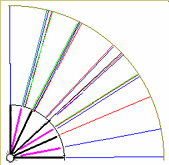 However all have prposed that I must also prove that the selection from hundreds of lines by Reiche is the right selection. Think that you have a paper with a drawing of a man. He has hands, eyes, feet and body and so on. When you recognize him as a man you don´t need to find any other rule than that the parts belong together. 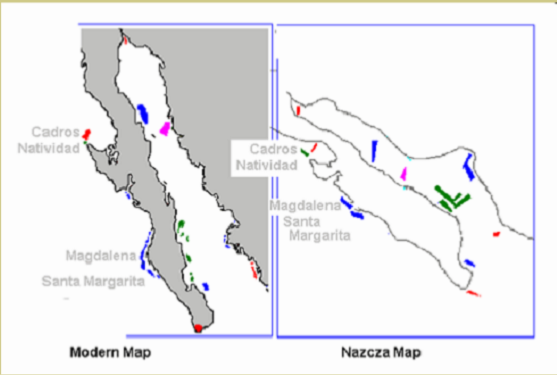 It is the same with the Nazca sea chart: Details represent the true ocean landscape exactly in most cases both as a whole and in details. All the parts belong together. "Of the complicated network of lines and figures only the largest are shown here. The chart which is based on the official map, government aerial photographs and local surveys by the author, shows the principal sites and delineated surfaces and the long connecting lines between starlike centers." But this just means they belong together. Picture at right: The directions of the lines corrected for 30 degree turn of the map. The inner directions are those with names on the Maori compass. The outer directions are some on the Nazca plain in Reiches map. The similarity is striking and proves that the lines in the Nazca map correspond with the directions in Maori oral sea charts. Takaynamo ( founder of Chan Chan) same as Hui-te-rangiora (> Te-kayniona > Te-kaynamo when "r" is hard to pronounciate ) brought a wealth of information about the extension of the world that have impressed all later Maoris and surely also impressed the folks of South America. Some ruler wanted to booze and show what a large world there was. Just like all rulers want to make monuments. So the lines have no practical purpose outside the political great influence. For practical use there was used the oral version and that had also all the information about winds and streams. On the red island is a volcano from where has been stated the directions of the other islands. A are later lava fields. San Felix and Juan Fernandez. vegetation at the place proposed for landing. These are only some examples of the details, however well proving that the Reiche map is a sea chart. There is no possibility of samples being this accurate by accident. Neither are there secondary interpretations possible. Pleace send any comment to mabon@dlc.fi.